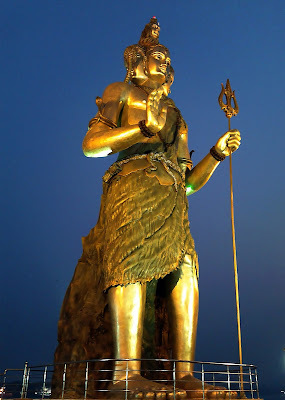 Eastern India's Tallest Shiva Statue in Howrah, Bangeshwar Mahadev Temple of Salkia Howrah, 51-feet tall Shiva idol in Howrah, Seth Banshidhar Jalan Smriti Mandir at Bandha Ghat, Golabari, Salkia, Howrah, East India's Tallest Shiva Idol (Statue / Murti) in Howrah inaugurated by Indian President Pranab Mukherjee. On 13th December 2015 (Sunday), Honorable President of India Shri Pranab Mukherjee inaugurated 51-feet tall Lord Shiva Idol at Bangeshwar Mahadev Temple of Salkia (Howrah) in the presence of Governor of West Bengal. 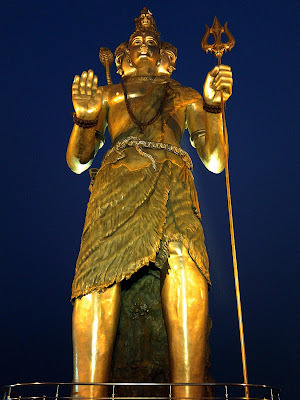 This 51-feet tall Shiva Statue, perhaps the Tallest Shiva Murti of Eastern India, is a standing Shiva Idol having 5 heads (Panchamukhi). • Name of Shiva Statue - This Lord Shiva Murti is known as 'Bangeshwar Mahadev'. 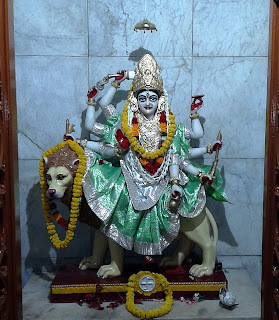 Thus, people also called this Mandir as 'Bangeshwar Mahadev Temple' in Salkia (Howrah). • Height of Bangeshwar Mahadev - 51 feet tall Bangeshwar Mahadev. Thus, it's stated Tallest Shiva Idol of Eastern India. • Weight of Bangeshwar Mahadev - Approximately 3 tonnes in weight. • Bangeshwar Mahadev is made of Fibre glass, cement & RCC (Concrete Cement) and tool around 6-months to construct. • Where is Bangeshwar Mahadev in Howrah? 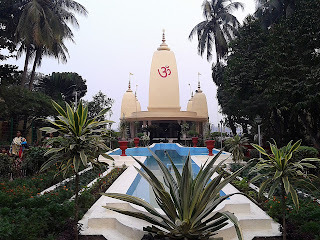 Location of Eastern India's Tallest Shiva Idol - Bangeshwar Mahadev is situated on Salkia School Road in Howrah right on the banks of River Ganga (Hooghly River). 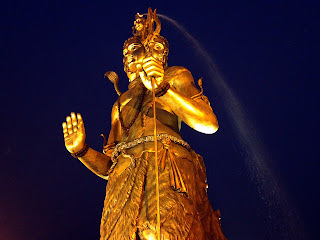 Eastern India's tallest Shiva statue is situated inside Seth Banshidhar Jalan Smriti Mandir (Naya Mandir), which is near to Bandhaghat (Badha Ghat) of Salkia area in Howrah. 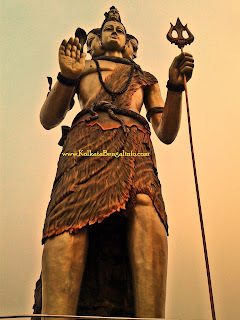 Read more about Eastern India's Tallest Shiva Idol of Salkia, Howrah.